I think this rusty little fellow is my favourite. His name is Spencer and he has a great personality. Not a great personality as in…gee he’s got a grreeeaatt personality, if you know what I mean…he just has. He is a little gruff at times, speaks is a low low slow slow deep voice. He moves giant hearts at the giant heart factory. Has a break only when he needs it and treats all the other steam machines very well. He likes to show them all how it was done in his day. 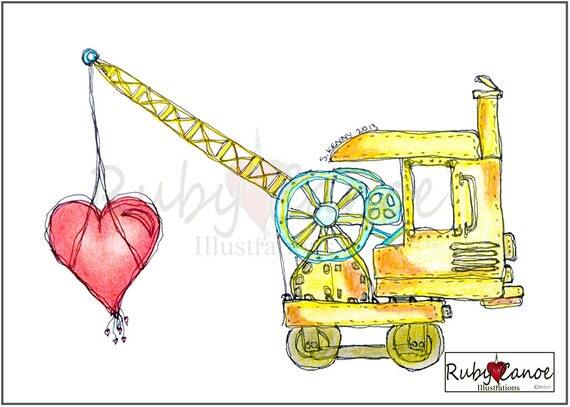 He may be rusty but he is sparkling on the inside and his heart is much bigger than the ones he moves all day.